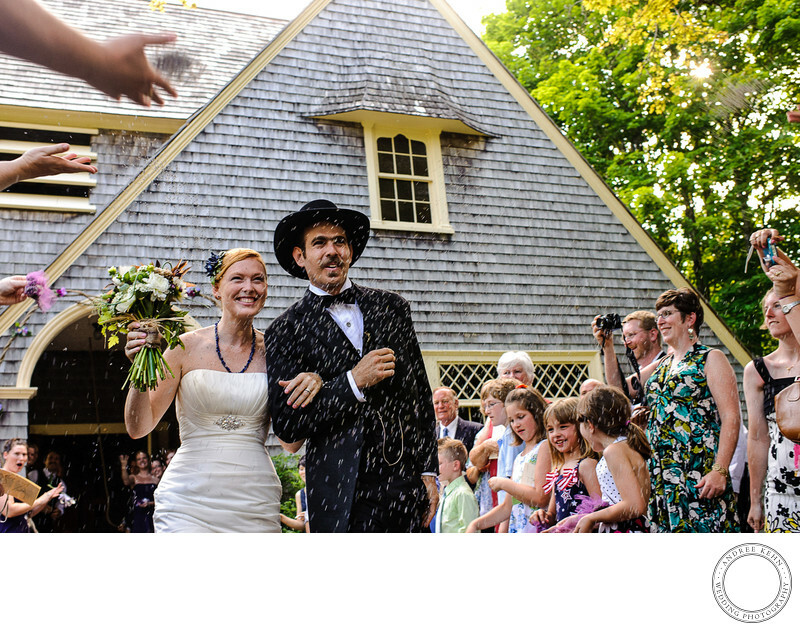 This couple planned their Maine wedding their own way, from the amazing hat the groom wore to the casual dress code for the guests. And they still incorporated the traditions that meant something to them, walking though a cascade of guests throwing, not rice, but handfuls of lavender. Keywords: Andree Kehn (84), Andree Kehn Wedding Photography (1287). 1/250; f/4.5; ISO 1000; 35.0 mm.